Cape Town - While calling on SA policy makers to provide more tax breaks, South African consumers should address their own behaviour as well, cautioned René Grobler, head of Investec cash investments. In her view, the latest quarterly update of the Investec GIBS Savings Index emphasises that all stakeholders in society need to pay attention to the very real deficit that SA has in its savings environment. The latest data indicates the extent of the SA savings deficit and the large gap that exists between planned economic growth of 5.4% per year - in terms of the National Development Plan - and the ability of the SA economy to fund that growth. "The call to action is not just for the policymakers to give us more tax breaks. 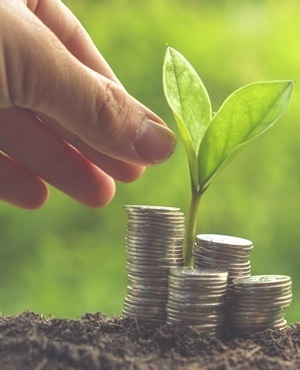 We need to urgently find ways to create more income and jobs and being responsible and prudent about spending or saving money that is created," cautioned Grobler. The latest index shows a net figure for 2015 of 63.0, down from 63.4 for the first half of 2015. A score of 100 would have represented the savings structure of economies that produce high rates of sustained and inclusive economic growth. The index paints a subdued picture of SA’s ability to fund investment through savings. "This, in turn, points to low levels of near-term economic growth with an on-going need to remain a willing recipient of foreign capital to fund investment," according to Grobler. The latest interest rate hike by the SA Reserve Bank's Monetary Policy Committee (MPC) took the repo rate to 7%. While this bodes well for savers thanks to a higher return on their cash investments, Grobler pointed out that, at the same time, South Africans have not been good at saving, but rather been good at accumulating debt. “The debt to income ratio for consumers in SA stands at about 77%. This means the higher interest rate will actually translate into higher debt servicing costs, which will have a knock-on effect on income levels," explained Grobler. On the other hand, SA’s high real interest rate for the fourth quarter of 2015 stands out favourably in a world of capital mobility. South Africa’s fiscal status - in particular monetary management - remains really impressive, in the view of Dr Adrian Saville, professor in economics and competitive strategy at GIBS and chief strategist at Citadel. “What we see is sensible fiscal policy underpinned by robust monetary policy – and the latter pushes through in the index in the form of a very high real interest rate," said Saville. Regarding cumulative gross savings as a percent of GDP, Saville said this is explained by stalling GDP growth rather than an outsized gain in cumulative savings. In addition, capital stock per worker, which is an important driver of productivity continues to show steady gains, rising from a score of 33.9 for the second quarter of 2015 to 34.3 for the fourth quarter of 2015. In his view, this remains some way below the capital invested per worker in the so-called "savings stars" – countries that have sustained an average economic growth rate of 7% per year for 25 uninterrupted years or more – but does underpin the potential for productivity gains in SA’s workforce. “Productivity is a great approximator for competitiveness, because the only way to build truly competitive companies, industries and countries is by improving productivity,” explained Saville. Grobler further pointed out that business confidence levels in SA are very low and this will certainly have a knock-on effect on fixed investments. "The rate of investment is crucial in terms of fuelling the economy and creating jobs," she said. Businesses operating in environments with high levels of uncertainty tend to keep a higher level of cash reserves. This would mean that in the current interest rate environment, they will be earning higher returns. They will, however, need to deploy these funds at some point in order to provide the right returns for shareholders, explained Grobler.